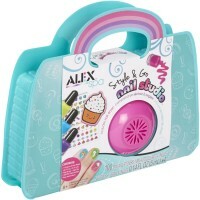 Create stylish nail designs for your fingers and toes with this girls nail kit. 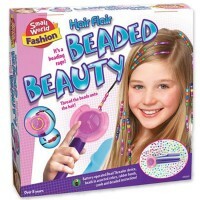 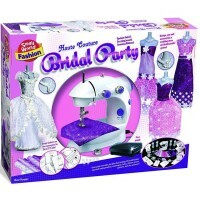 Girls Professional Nail Spa Fashion Craft Kit by Small World Toys brings everything young ladies need to open their own nail salon at home. 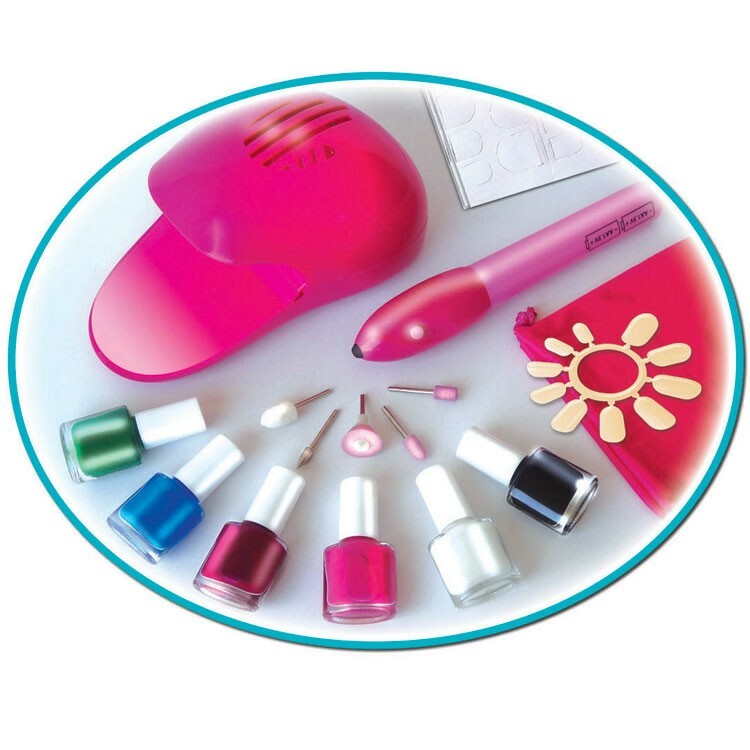 This nail fashion kit includes 2 professional looking battery operated devices that are the must-have equipment for a nail spa. 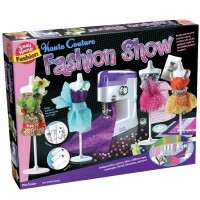 Professional Nail Spa Fashion Craft Kit features 6 bottles of bright nail polish, battery-operated nail dryer, a manicure and pedicure device, plus colorful nail accessories. 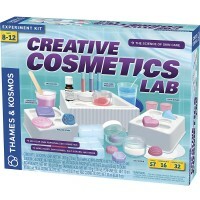 The professional nail boutique set from Educational Toys Planet is a great activity idea for girls' sleepover or birthday party. 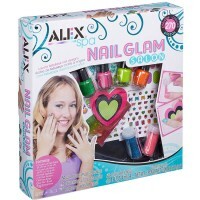 The nail spa devices require 4 AA batteries (not included). 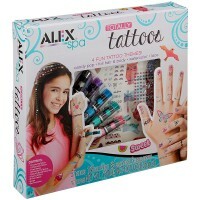 Dimensions of package 3" x 3" x 1"
Write your own review of Professional Nail Spa Fashion Craft Kit.